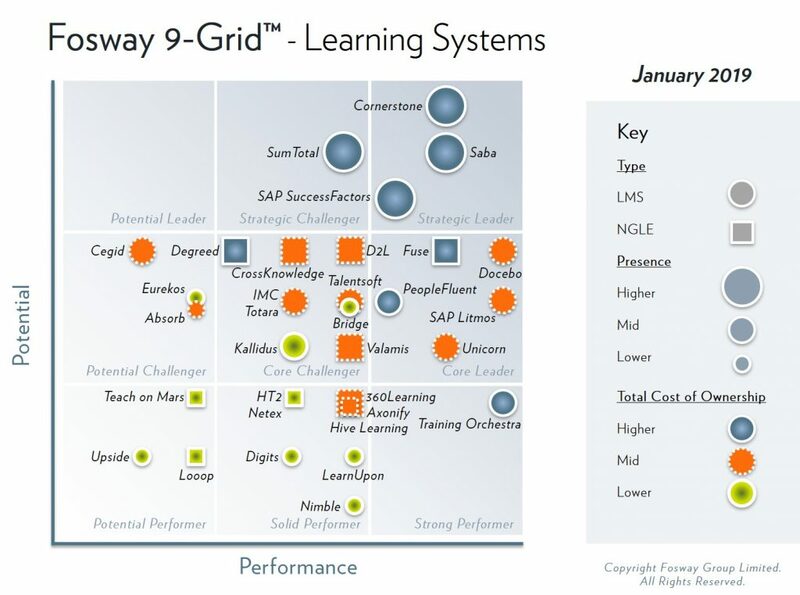 As this year’s 9-Grid™ for Learning Systems makes obvious, this is a crowded and highly fragmented market. New entrants focusing heavily on next gen features including social and video learning, microlearning and learner engagement have disrupted the traditional LMS (Learning Management System) market, resulting in the separate NGLE (Next Gen Learning Environment) classification in our analysis over the past three years. How this reflects our view of Learning Experience Platforms (LXPs) and where the market is heading, is included in the full report. Download your free copy below which includes a full summary of the latest market and solution trends in Learning Systems. In order to understand how to interpret the research properly, we strongly recommend that you read our background paper ‘Introduction to the Fosway 9-Grid™’ which explains the model in detail.